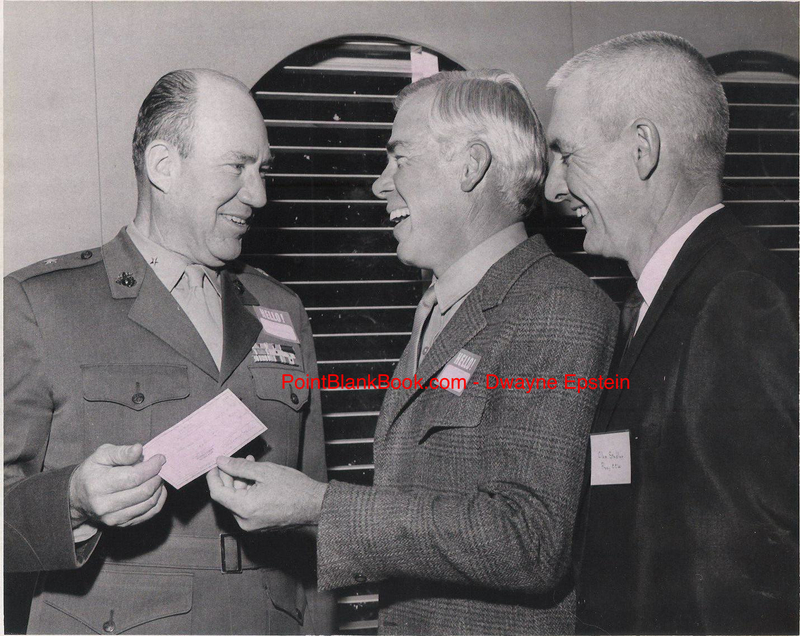 Lee Marvin & charity are not words that are often thought of in the same sentence but they certainly came together when it came to the actor’s dedication to the USMC. Throughout his life, he would often give generously to Marine-related causes, but usually kept a low-profie about it. Of course, if media attention meant bringing more attention to the cause, then he would certainly do so. In 1968, at the height of his popularity, he was the on-air host and narrator of an ABC-TV special entitled, “Our Time in Hell” featuring recently discovered color footage of embattled WWII Marines in the Pacific. He waived his fee for the show and instead, had it turned over to an organization that helped civilian victims of the Vietnam War, as recounted in Lee Marvin Point Blank (p. 172). Below, are two more examples of Lee being recognized for his charity work with the USMC. All that his known of these events are what is written on the back of the pictures….. Above simply states “Marine Award, 1966.” The gentleman to the right is unknown. Lee Marvin presents (recieves?) a check for his USMC work. The above photo is from The CItizen News archives and is also an unknown event but appears to be Lee happily presenting (or recieving?) a check from a USMC officer. Neither gentlemen other than Marvin are known. Anybody want to chime in with information? Please do! 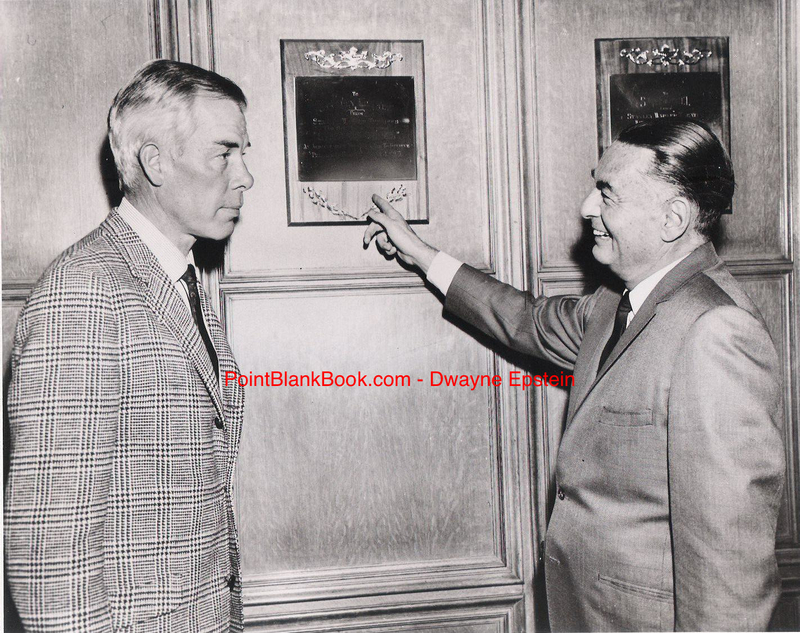 This entry was posted in Blog and tagged 1966, 1968, Charity, Citizen-News, Lee Marvin Point Blank, Our Time In Hell, USMC by Dwayne Epstein. Bookmark the permalink. What a tribute to our beloved Corps. As an actor, it can be rare to actually tell a story from a life that is told and instructed to you. But with his experience, the emotions and mind-set was galvanized and forged into the men and women that have represented our Corps for the last 238 years. The Marine Corps. celebrates a true representative of our culture and will always show fidelity highest standards of our Naval Service.